Anyone who recently embarked on a healthy hair journey-- either a relaxed or natural-- can attest to the significant improvement in which the consistent use of natural oils has made on their hair. The use of oils is nothing new in the Black hair community, as many of us can remember getting our hair greased after every hairstyle, and as soon as we started to see our scalp flaking. However, the improper use of oils and hair grease led many of us to eliminate it from our regimen as soon as we were old enough to make our own hair decisions. But after exploring many other “non-greasy” hair products, many of us are now starting to explore the benefits in various cooking oils and we are now in love with these oils and adding them to most of our hair concoctions. So why do we love our oils so much? 1. They soften our hair. Oils, such as castor oil, is very good at making the hair feel soft, smooth and silky. I know this from experience. Hair oils also help to maintain the moisture level in our hair, which in turn will help to keep the hair feeling soft and supple. Jc of Natural Haven explains the importance of sealing the hair in this post. 2. They lubricate our hair, which helps to reduce knots and tangles. To reduce single strand knots (SSKs), it is advised to oil the ends of the hair in order to reduce friction and the chances of the ends of our hair from forming annoying knots. 3. They detangle. The lubricative property of oils helps to loosen knots and effectively separate tangles without damaging the hair. Whenever I come across tangles in my hair, I just apply drops of oil to that section of the hair and allow it to slip off. This is a more gentle method, instead of forcefully combing them out. 4. They regulate a healthy sebum production and a clean scalp. 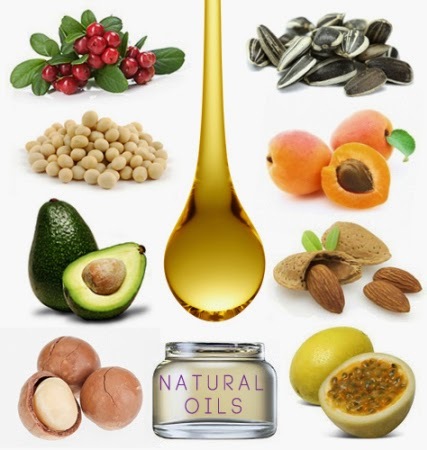 Oils such as jojoba oil and avocado oils are known to regulate the natural oils on the scalp to a level which stimulates growth and nourishes the new growth which sprouts out of the scalp. 5. They can help thicken our hair and reduce breakage. Many naturals who took on the castor oil challenge have said that they’ve noticed a thickness in their hair after prolonged and consistent use. 6. They promote growth, restore hair loss and increases length retention. Who needs hair drugs when you can massage your scalp with oils such as jojoba oil or castor oil daily? Many women have been able to revive hair growth along their hairline after consistently applying castor oil on their balded hairline. Many have also seen accelerated hair growth and an increase in length retention after using natural oils for a prolonged period of time. 7. They give our hair a healthy shine. Who doesn’t want hair that stays shiny?! Penetrating oils such as avocado oil, unrefined coconut oil and extra virgin olive oil gives the hair sheen without leaving it too greasy. 8. They keep our scalp happy, fostering an environment for healthy hair growth. Naturals with itchy and troubled scalp are often advised to add a few drops of scalp soothing essential oils such as peppermint oil, tea tree oil and eucalyptus oil to their scalp oil blends. This oil blend will not only soothe the scalp, it will also unclog the pores, may reduce bacterial or fungal overgrowth and promote blood circulation to the scal. 9. They assist our hair products to do their job well. Bloggers such as Jc of www.naturalhavenbloom.com often recommend adding a few drops of our favorite hair oil to our deep conditioning treatment and even shampoo to give the products more slip. Whitney of Naptural85 made an oil blend out of many hair benefiting oils which she recommends for the hair and skin. This oil blend can be used as a pre-poo treatment, added to a deep conditioning treatment, applied to the scalp and for sealing the hair. 10. They make our hair smell so good! Since many of the oils are derived from the fruit seed or nuts which can smell nutty, you can upgrade the fragrance of your oil by simply adding a few drops of sweet smelling essential oils such as lemon grass, lemon oil, rosemary oil, lavender oil and any essential oils which fancies you. Do you have a favorite hair oil or set of favorites? What are they and why do you love using them?